Grew Up… in Bay Ridge, Brooklyn, N.Y., in a Roman Catholic Norwegian-American family. When she was 12 years old, she witnessed her father die of a heart attack. Living… in an apartment in Brooklyn with a roommate, though she isn’t solidly committed to the arrangement. Peggy doesn’t mind living a little farther out from the center of things, which is convenient because, like most recent graduates of secretarial school, she can’t afford the price tag of a Manhattan apartment. 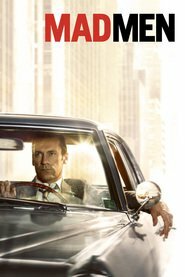 Profession… secretary at Sterling Cooper, a Madison Avenue ad agency. It’s a demanding job, especially since her boss, Don Draper, expects a lot out of her. He criticizes her work and chastises her for small mistakes, but he also seems to genuinely believe she has talent beyond being a secretary. Peggy really wants to be a copywriter, but is that even possible for a woman? And then there’s her other boss, office manager Joan Holloway. Joan’s classically feminine approach to the office differs from Peggy’s, creating friction between the two. Joan and Peggy do share the bond of being single women – in a man’s world, no less – yet Joan frequently rebukes Peggy and has a particularly belittling way of giving her advice. Interests… work. But the more Peggy cares about her work the less she cares about her family and her church. The frustrating relationships she has with her irritating sister and overbearing mother push her toward the glamorous setting of Madison Avenue. Her work, though challenging, gives her a welcome escape from the banality of the rest of her life. Relationship Status… single. At work and parties, Peggy encounters caddish men – seemingly the only kind in 1960’s New York. Pete Campbell, an accounts executive at Sterling Cooper and perhaps the worst cad of them all, has taken a shine to Peggy. Unlike most women (especially Catholic women) her age, Peggy is on birth control, although she doesn’t go out of her way to “take advantage of it,” as the doctor who prescribes it to her puts it. Challenge… carving a path for herself in the Madison Avenue world of men and money. As a woman in the 1960’s this isn’t easy, and it seems like the entire establishment is out to make it more difficult. Not only are the men demeaning, but the more traditional women around her often put Peggy down for her obvious striving to get ahead. Peggy Olson's popularity ranking on CharacTour is #1475 out of 5,000+ characters. See our top-ranked characters and read their profiles.